Most cases reported from Rajasthan; OLX blocks the accounts that were opened to carry out fraudulent deals. New Delhi: At least 37 people have allegedly been duped on OLX, an online classified site, by fraudsters using leaked soft copies of Aadhaar and ID cards of CISF and Army personnel, ThePrint has learnt. Over the past two days, the CISF and Army headquarters have been flooded with calls and complaint emails — some with scathing comments questioning the integrity of the men in uniform — accusing their personnel of duping potential customers on OLX. While most of the cases were reported from Rajasthan, a few of them took place in Maharashtra and Himachal Pradesh as well, according to sources in the CISF and Army headquarters. 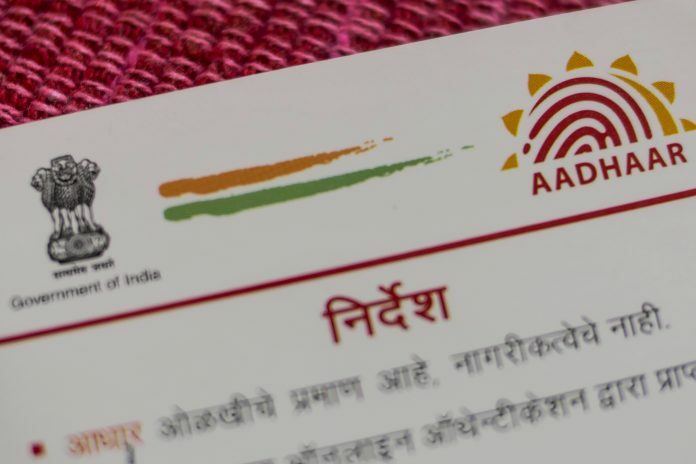 An internal inquiry by CISF revealed that constable Shrikant had shared a copy of his Aadhaar card for buying an iPhone on OLX from a man named Abhishek Srigul, who had introduced himself as a police constable from Maharashtra. He had paid Rs 23,000 to Srigul but never received the phone, following which he filed a complaint at Vakola Police station and Cyber City Police station at BKC in Mumbai. “It was found that the constable, who people had been cursing in mails, was himself a victim. He had shared his Aadhaar card with the seller, which was then misused,” a CISF officer said. “When we made further inquiries, it was found that the scamsters have been using these ID papers, including the Aadhaar card of several defence personnel to dupe people online,” the officer added. In one of the cases, a copy of the Aadhaar card of an Army personnel was leaked from a travel agent, he said. The defence ministry too was sounded after a complaint against an Army personnel, Vikram Waghmare, was sent to Army headquarters. “The complaint said that the personnel wanted to sell his iPhone 6S and made a deal for Rs 16,000,” an officer said. “Following this, he asked for full payment in advance. To gain the customer’s trust, the scamster shared the Aadhaar card bearing his photo in Army uniform and his I-card on WhatsApp. Thinking that he was dealing with an Army officer, the buyer transferred the money in good faith and then the seller’s phone was switched off,” the Army officer added. In another case, someone took a huge chunk of money impersonating as an Army officer, willing to sell his Swift car, an officer said. “We suspect this is part of a larger racket and we have brought this to the notice of investigating agencies,” the officer said. After similar complaints started pouring in, CISF wrote to OLX asking it to block accounts that were fraudulently created in the names of its personnel. “It is to inform you that somebody is impersonating as Shrikant of CISF on OLX and has duped many people putting advertisements of selling iPhone on OLX. You are requested to block account with user name Shrikant,” the mail said. OLX said it has blocked the accounts that were opened to carry out fraudulent deals. Some fraudsters reportedly used soft copies of the Aadhaar and identity cards of defence personnel to create an account on OLX and then posted several products, including a car and a mobile phone, for sale. When the customers contacted them on OLX chat, the fraudsters convinced them that they were from the Army or CISF and wished to sell their phone or car as they had been transferred to another state. They would then ask the customer to pay a 50 per cent advance for the product through Paytm and once the amount was received, they would switch off their phones. These complaints have now been forwarded to respective police stations for further investigation. This is all game where everyone has his share…. Army ka nam kharab kr rhe h ye log.. Mjse b aisa hi bolkr pytm pymnt li…. Same happened with me I paid 5000…please help me..I have also every thing of fraud person..